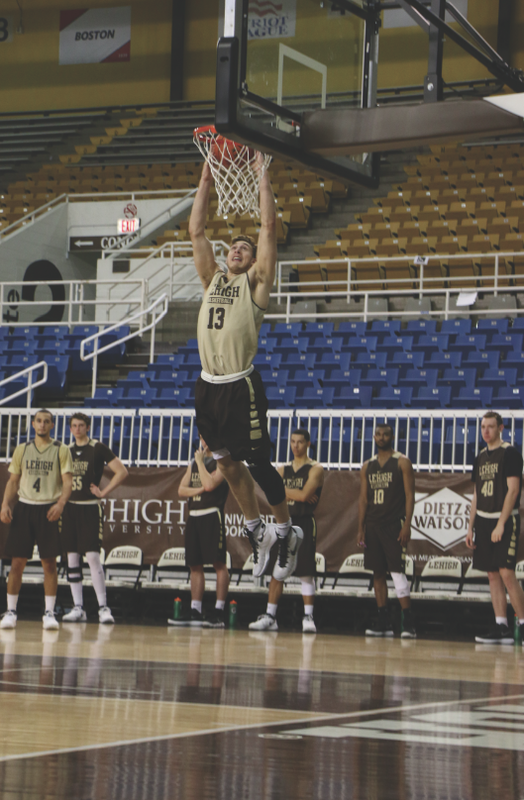 For two years in a row, the Lehigh University Men’s Basketball team battled through the Patriot League championship bracket only to fall short in the big game. For senior captain Kahron Ross, this will be his last season to win the league championship. Losing those games has fueled his fire, he said. 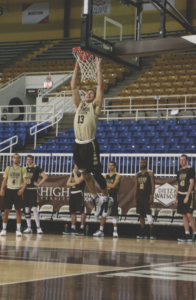 The Mountain Hawks lost to Holy Cross in the championship game in 2016 by three points. In 2017, they lost to Bucknell. Ross faced a similar situation during his time as a baller for his Jonesboro, Arkansas, high school. Ross lost state championships in his sophomore and junior seasons, but then won it all his senior season. “Hopefully the same will happen in college,” he said. The team has had the talent to win the championship in the last two years, according to Ross, but it will be his goal as captain to communicate more effectively and do the small things better to help seal the deal this year. Head Coach Brett Reed says losing a championship game can be bittersweet. 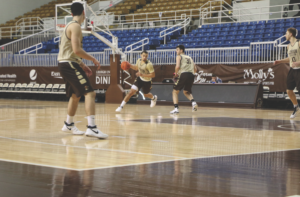 Since joining the Patriot League in 1990, the Mountain Hawks have won the league championship three times. Two of those times – in 2010 and 2012 – came with Reed at the helm. “As a young coach at the Division I level, it was wonderful feeling,” Reed said. “Not just the victory, but the way the team came together. Each season and each team presents its own challenges and strategies, Reed said. Losing a big game is a good time for reflection and contemplation of what tweaks can be made to foster a successful team. Sophomore Jordan Cohen said playing in last year’s championship as a freshman was an incredible experience. “The atmosphere at Bucknell was amazing,” Cohen said. Cohen said he appreciates the urgency to win the championship that the older players like Ross feel, working harder to improve himself to help his teammates. The Patriot League champion receives an automatic bid into the national NCAA Division I Men’s Basketball Tournament in March.